This great garlic originated in a small village in the heart of the Transylvanian Mountains and was discovered in a Romanian Farmers Market in the mid-1990s. Stores well due to the tight, coarse tunics around its cloves. Harvest fall planted garlic the following season, late spring or early summer, about 240 days from planting. Harvest spring planted garlic the same season, about 90 days from planting. Averages 10 cloves per bulb. Softneck variety. Garlic, Transylvania is rated 4.1 out of 5 by 9. Rated 5 out of 5 by Allegra from Outstanding taste and very easy to grow I planted this garlic here and there in my garden, in areas that had anything from full sun to no more than a few hours of sun per day. All grew well, though the more sun they got the bigger and more flavorful the cloves (no surprise). It is an excellent producer with a sweet, pungent, distinctive garlic flavor that puts the supermarket stuff to shame. I grow one new garlic variety each year (for the kitchen and also to repel harlequin bugs) and I couldn't be more pleased with this one. I planted these in November and harvested in June. At this writing (mid September) the stored garlic is holding up just fine. Highly recommend for anyone who loves good garlic. Rated 1 out of 5 by Dracula from NO SPROUT I planted 1 and a half bulbs and gave half a bulb to 2 people that are gardeners for spring planting. Not a single one sprouted. So disappointed! and so were the people I gave it too. Burpee refunded me. Thank you. I will try one more time to plant in the fall. 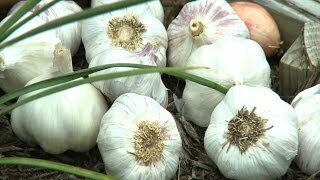 I need Transylvania Garlic because I think my neighbors are vampires… LOL I'd just like to try this variety. I'll leave a review next spring if they do better or the same. Rated 5 out of 5 by Spydabarb from Great Product Product arrived in perfect shape. Bulbs are large and healthy. Won't know how well it does till harvest next summer but item was exactly as advertised. 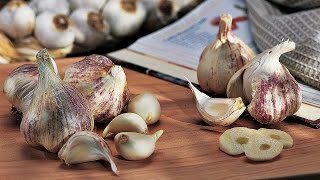 Rated 5 out of 5 by KSam from My Favorite Garlic to Grow - Easy and Delicious I've grown several varieties of garlic over the years and this one is by far my favorite. I got outstanding yields from this variety - it grows easily with little to no effort beyond popping the cloves into the ground and leaving them alone. I got about three times as much in yields from this one as I did from any of the others I planted. The taste is great - very delicious. It keeps well. My only complaint was that I didn't plant enough - I'm going to plant twice as much of it this year! Rated 5 out of 5 by CASFgardener from Great Tasting Hierloom This is a super easy-to-grow garlic and does really well here in the San Francisco Bay Area. It is worth planting because the taste is wonderful. Bulbs are of medium size and do not need pre-chilling or any special treatment. The Transylvania has become one of my favorite varieties.